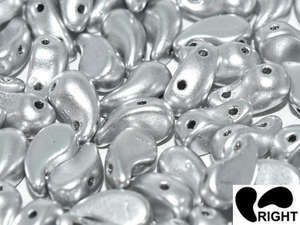 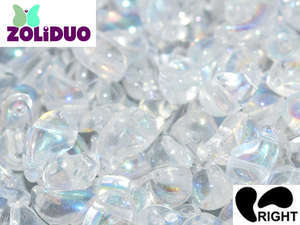 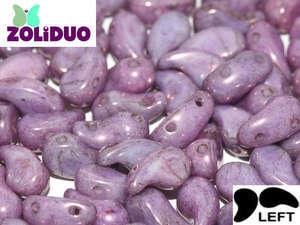 Zoliduo beads are a comma shaped two hole Czech bead that measures 5x8mm. 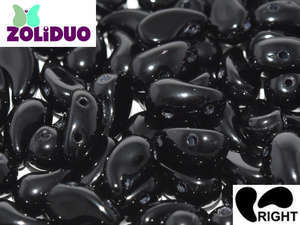 The beads have a curved front, and a flat back, and come in a left and right hand version. 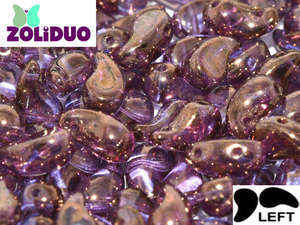 The beads can be used to make beautiful swirled designs.